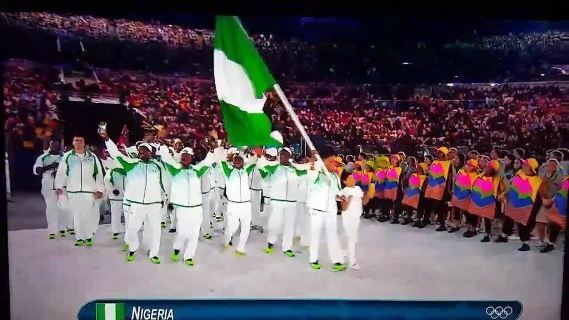 More Nigeria embarrassment as outfits fail to arrive for Olympic opening ceremony. The original outfits that did not arrive on time for the Nigerian olympic team to wear in the Rio Opening ceremony. Nigerian Olympic 2016 team outfits.Who are the clowns responsible for Nigerian sports? What does that minister of sports have to do before he is relieved of his post?From the outrage of the Nigerian Olympic football players,the dream team having to travel to the venue of their opening match from Atlanta USA to Brazil with hours to spare for their opening match,to athletes complaining of under preparation,not being fed to the latest of their outfit that they were supposed to wear for the opening ceremony not arriving on time! talking point online because quite a few people simply did not like them.They looked like women in a choir robe and the men looked like pall bearers,lol..Maybe that was why somebody decided to sabotage them,who knows? And don't be surprised to hear that the outfits cost thousands of dollars,Nigeria menh...i'm so tired of our tiresome leaders! See what the outfits were supposed to be after the cut and what we actually ended up wearing. What the Nigerian team ended up wearing at the Rio Olympics. In the past,Nigeria has been known for their flamboyant and cultural outfits at sports ceremonies,this was worn at the London Olympics.